This is my first attempt at a map, so please be gentle. I designed this as a ffa (free for all) map of Dorne, good for either 1v1 or 2v2. Not sure how much sense it would make to have more than 4 people on this small of a map. I am hoping that this will be the first in a series of ffa maps of the Seven Kingdoms from the Game of Thrones. I also plan to do diplo versions (much larger) of each Kingdom. I hope you enjoy it and any feedback would be greatly appreciated! Review by Taran on 7/30/2016. Fine map for a first time. But I do believe the territory "Sunspear" is too protected for an 8 bonus. Also, the 1 sea connection could be a bit larger. Otherwise, as I said before, pretty solid. Review by Nathan on 8/1/2016. It's a beautiful map and an excellent piece of work for a first-time mapmaker. The lands and city bonuses are well-balanced and make for a fast-paced, frenetic game. My primary criticism - and the reason I can only give 4 stars - is that the east is extremely overpowered. This is simply because it is too isolated. To overcome this issue, I recommend the addition of sea territories, one each at approximately the location of each superbonus pentagon. These sea territories should connect to the territory surrounding (or immediately adjacent) each city. 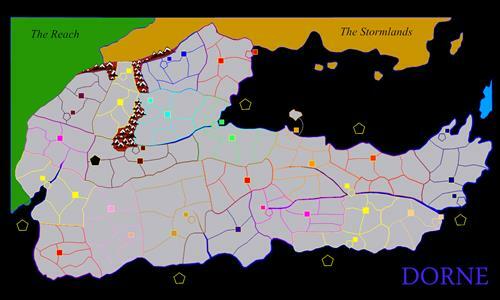 This will force defenders to prioritize between city and port and will permit greater flow of armies across the map.